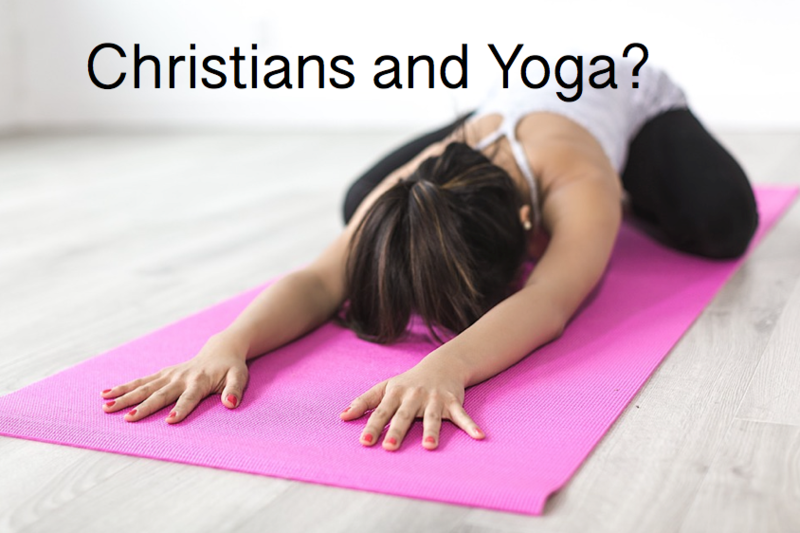 Many Christians believe that yoga is just relaxation and stretching exercises, and scoff when others warn of the spiritual red flags. Classical yoga does include stretching, controlled breathing and relaxation to increase one’s physical fitness. But that’s just part of yoga. The real intention of yoga is to put the practitioner into an altered state of consciousness. The word yoga means to yoke or unite. A careful study of God’s Word shows us that people who practice yoga are actually disobeying Scripture. According to the Bible, mystical practices of any sort are evil. Romans 12:9 instructs Christians to, “Abhor what is evil; hold fast to what is good.” Sooner or later, those who wade into mystic waters will be pulled into the shark tank. Jesus gave this warning in Matthew 7:13-14, “Enter by the narrow gate. For the gate is wide and the way is easy that leads to destruction, and those who enter by it are many. For the gate is narrow and the way is hard that leads to life, and those who find it are few.” Involvement in Eastern mysticism will lead to destruction. In Yoga, “practicing the presence” is accomplished through the mystical method of repeating yogic breathing and yogic mantras for the purpose of ushering the devotee into “oneness” with cosmic consciousnesses, the eastern understanding of god or divinity, often referred to as the “divine spark”, believed to be synonymous with all nature. The idea of god/divinity IN all is known as pantheism, that god is IN all that is material, but panentheism says the divine permeates everything including all eternity, concluding that all spirituality and all spirits are divine and acceptable. Our bodies were created to be “a living sacrifice, holy and pleasing to God which is our spiritual act of worship” (Romans 12:1) and “true worshipers will worship the Father in spirit and truth, for they are the kind of worshipers the Father) seeks.” (John 4: 23). Jesus says, “I am the truth. No one comes to the Father except through me.” (John 14:16) Many Christians believe that to participate in Hinduism’s postures to get into God’s presence, or redefine other manipulations with Christian terminology are corrupt offerings to the LORD and an attempt to arrive by “another way.” This is also where I am as I read the Bible and hear the passionate pleas from those who have studied New Age and mystical practices. Basic Spirituality of Yoga By Marcia Montenegro NEW!